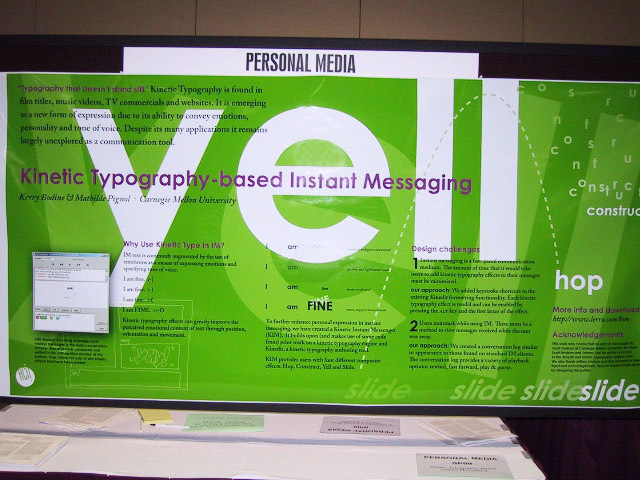 There are many ways to make a great poster. 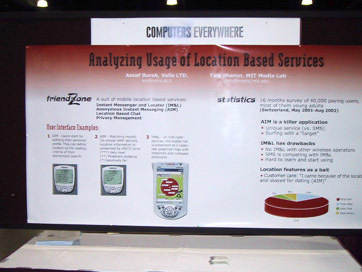 To provide some inspiration, here are some posters we saw at CHI 2003 and UIST 2003 and that we liked. Click on the pictures to enlarge. More poster guides can be found all over the web . the image sequence in the top right summarizes the proposed technique. The user draws with a special pen, and after erasing the content, the content can be brought back by sweeping the PDA across the surface. 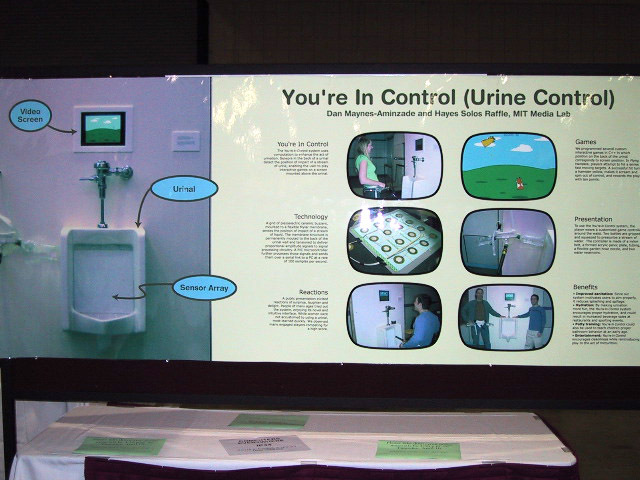 This poster is also interactive . 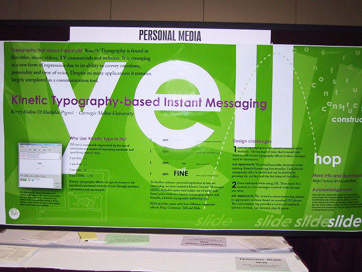 the poster is an example for its own content, i.e. kinetic typography. This way the poster surface is exploited twice. glancing over these headings ("The Approach: Use Physical Edges to provide Stability, Accuracy, and Speed") tells impatient attendants the most relevant content. This is much more effective than generic titles or headings asking a question. It makes a separate abstract obsolete. although it holds more information than the other posters on this example page, this poster successfully avoids being visually overpowering. It does this by mixing text and graphics, using few and simple colors, and working with white space instead of boxes. 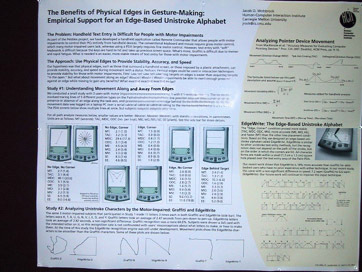 this poster describes who has the problem (people with motor disabilities), what these people are try to use (pen-based PDAs), why existing techniques do not work (Graffiti requires fine motor control), proposes a novel solution, and shows how the authors have shown/will show that the proposed technique solves the problem. the huge image on the left shows the installation and gives an immediate idea of the topic. the six blocks are self-contained, thus attendants can read in almost any order. This poster avoids clutter by separating individual blocks with white space. 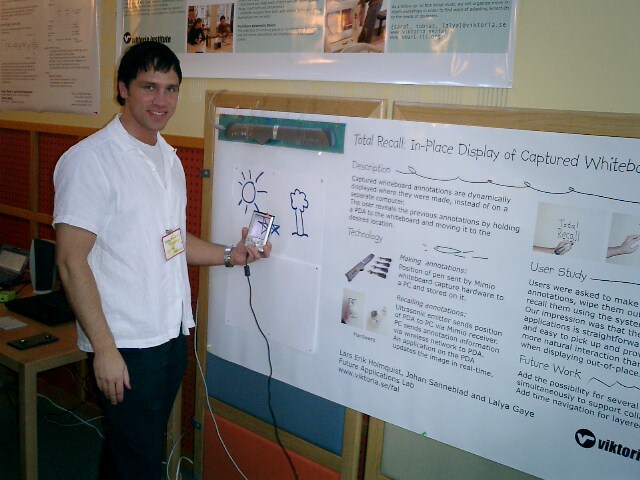 all bullets are very short, making it easy for attendants to find the facts they care about. the statistics section at the right is brief and limited to the most relevant results, rather than, say, a complete table. All additional stats are outsourced to a flyer. 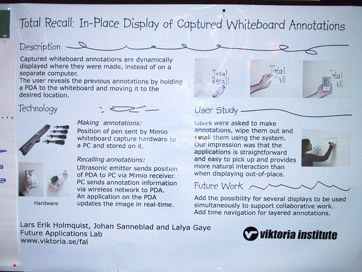 there is prior art, so the poster acknowledges it ("extents the functionality of existing ray-casting techniques") and makes clear which part is novel (the ability to point around a corner). here is the extended abstract for this poster . Here is another one . Both start with abstracts that very clearly state user, problem, solution, and novelty/contribution.